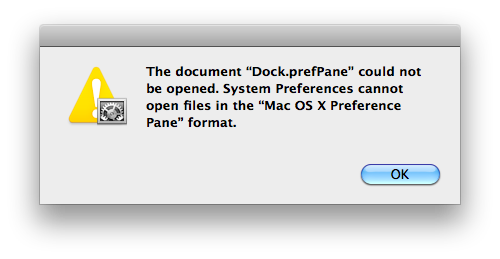 Oh that makes perfect sense, a default preference pane can’t be opened by the System Preferences? What?? Maybe this is an April Fools joke from System Preferences… but a reboot fixed it. Reboot did not solve it for my wife. I am having this problem, but a reboot and not much has helped me. Any suggestions?